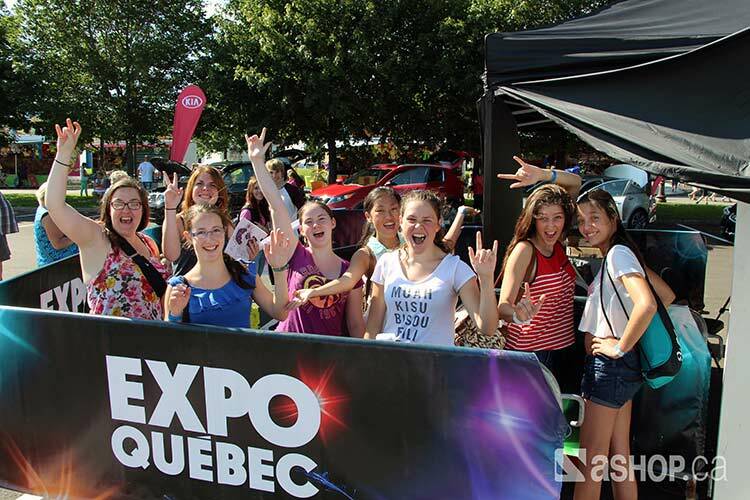 Expo Québec is a 10 day long family fair that includes amusement rides, two music stages and tons of interactive activities to participate in. 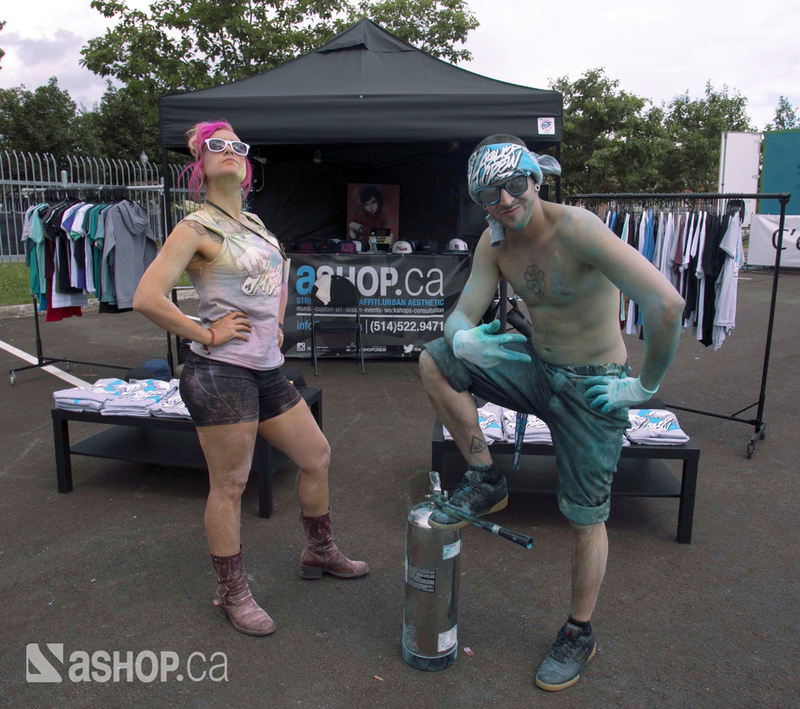 The 2014 program included a show by the infamous Wu-Tang Clan, Luchadores, paintball, a wake-board competition and a huge urban arts zone entirely curated and organized by A'shop. With a total of more than 32 000 square feet, the urban arts zone covered two areas that had five different interactive activities deployed within the 10 days of the event. This project mobilized a team of 21 artists who catered to a crowd of over 130 000 people and was made possible with the help of our sponsors at Kia Motors. Our friends at B&B Transport hooked us up with two giant 53' trucks that served as wall space for an all-star team of artists to get busy on. 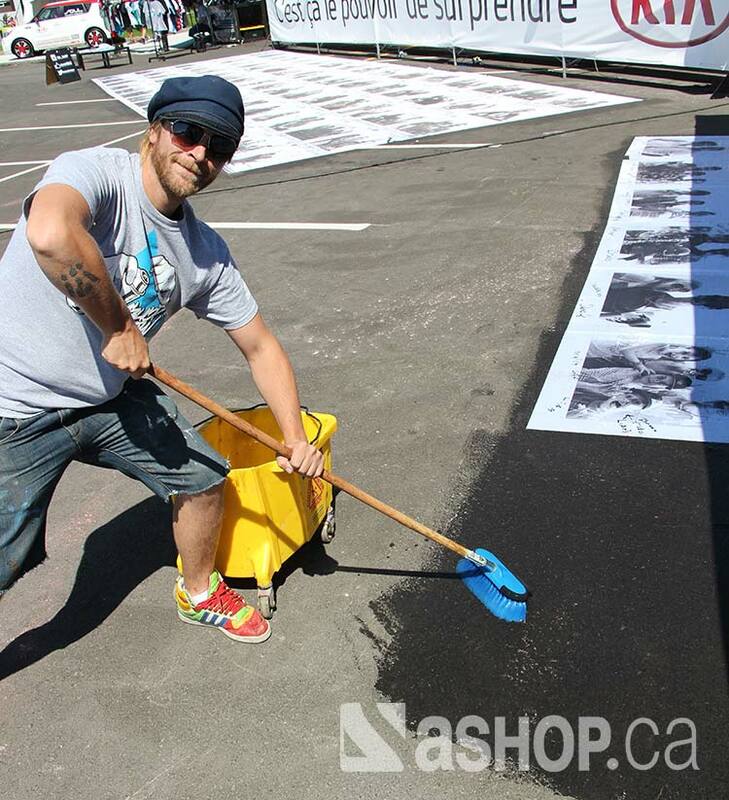 We spent the entire event painting these bad boys with our beautiful Molotow paint colors provided by SubV. It was an honor to work with artists of this caliber. The amazing work they created and the team spirit they brought to the event was absolute magic! Extra shout out to Esprit's cooking skills and Hsix's knowledge of the secret forest waterfall lagoon. 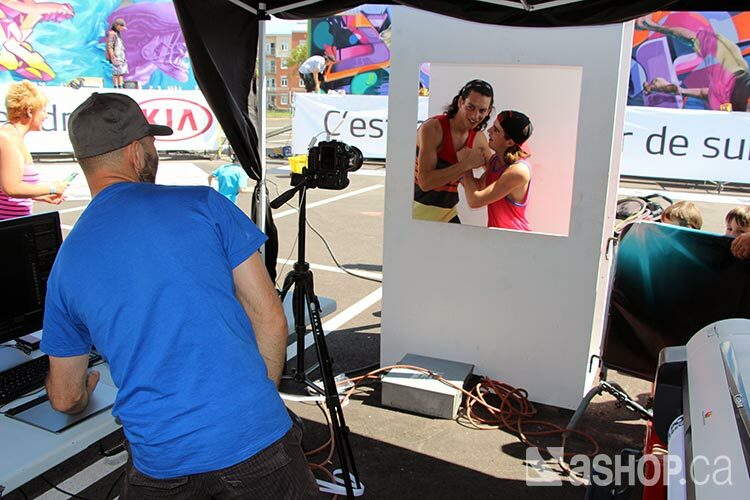 One of the activities we created for our zone was an interactive photobooth mural inspired by street art postering techniques. 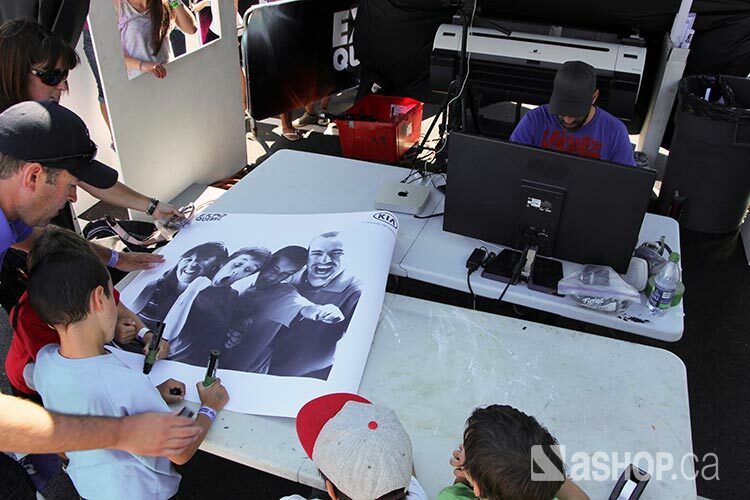 Participants could take home a copy of their poster as a souvenir of the event, but a second copy was signed by them and postered on to the ground to create a giant mosaic. We ended up covering the entire parking lot, and people would come back to find their poster amongst the myriad of friendly faces. We also hosted a series of color combats using non-toxic "color me rad" pigmented powder as artistic armament for these 10 minute blitz skirmishes. The ammunitions were set on the ground, and on "Go" participants raced to the stockpile in a frenzy of explosive color clouds. At the very entrance of the event our photo tent was set up for lightgraffiti, a popular activity that uses long exposure photography in order to "paint" light trails around participants. Everybody left with a high quality gloss printout and an iPad was set up to allow them to share their pictures on Facebook and Twitter. The wheels on the picture are a 2014 Kia Soul. Last but not least, we created a kids art lab to allow the youngins' to experiment with painting themselves while allowing their parents to relax and enjoy a bit of time in the shade. 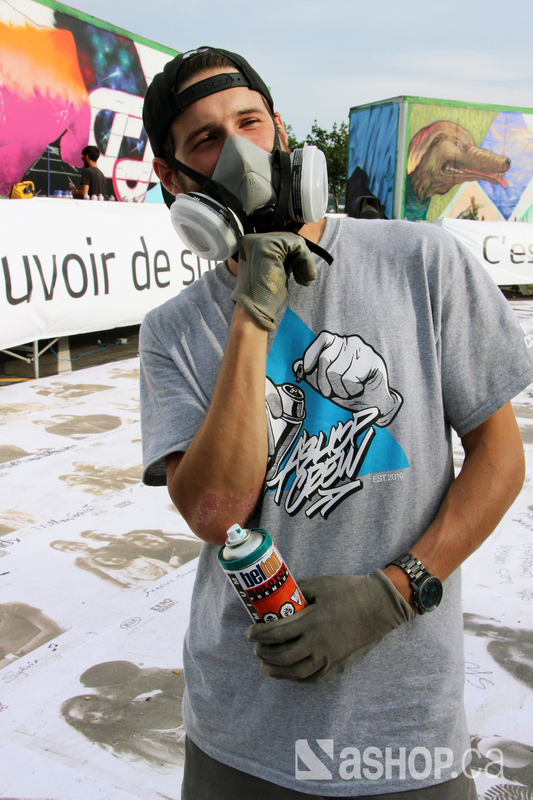 The area was custom decorated by the A'shop artists and an endless supply of paint was given out by the team. Besides all these great activities we also hosted a Drive Change soccer game with the Kia team and did a lot of exclusive HD chilling. Grilled cheese sandwiches were eaten by the ton, epic microphone host skills were talent scouted, airhorns were blown, late night hangouts at the ski lodge we rented were had, shoes got dirty, playlistswere played, and played again. A huuuge shout out to the whole team that joined us for this epic two weeks as well as our friends at Bombingscience for helping us out! We can't wait to do it again for 2015!